While today’s C7 Chevy Corvettes are the best ‘Vettes ever in terms of performance and handling, I always loved the look of the C3 Corvette. 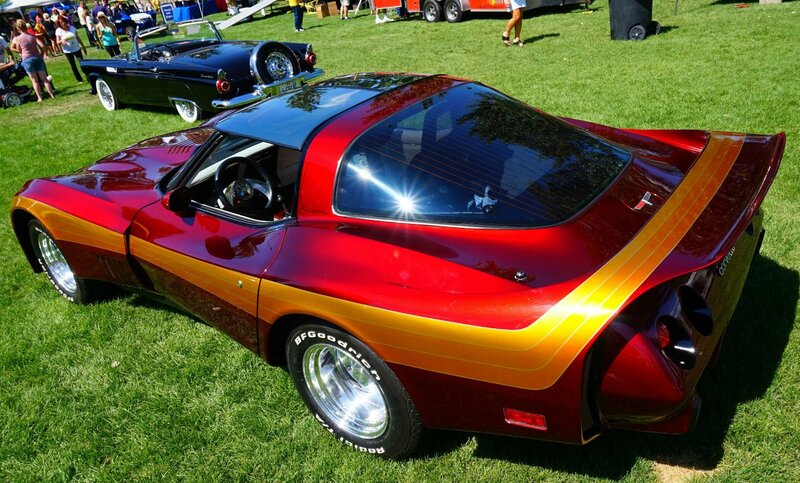 I think it’s because the ’70s and early ’80s models were the Vettes of my boyhood car fantasies. 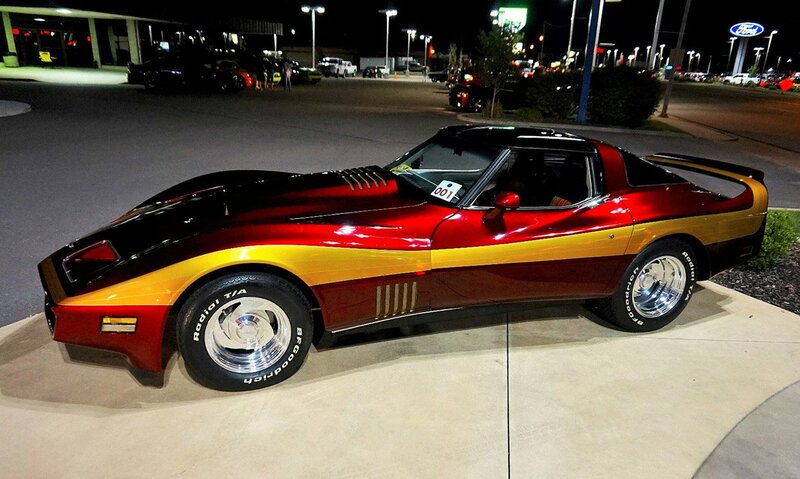 So when I came across this epically tricked-out 1980 Corvette for sale, I had to wipe the drool up off of my keyboard. 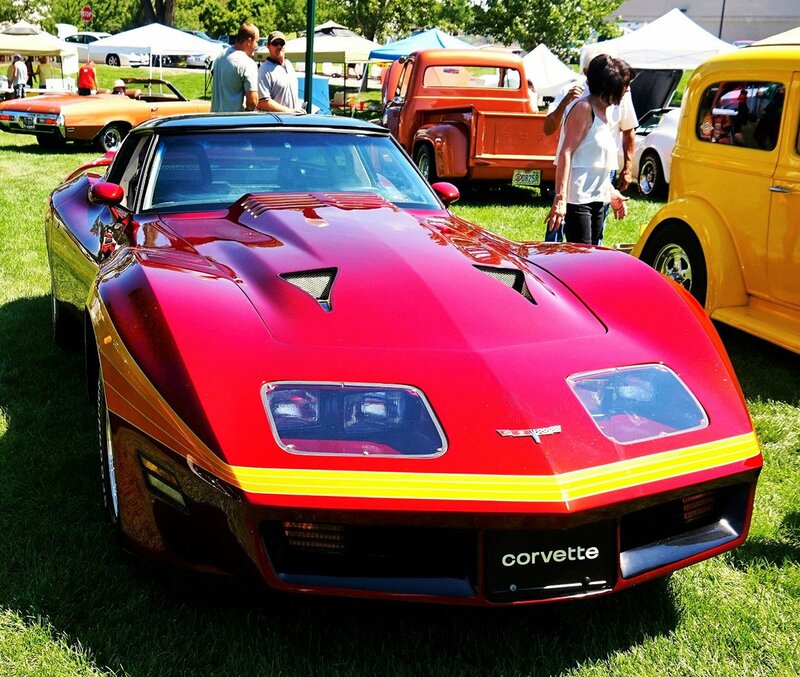 This amazing, one-off custom Corvette went deep undercover shortly after it was born, staying out of public view for the majority of its long life. 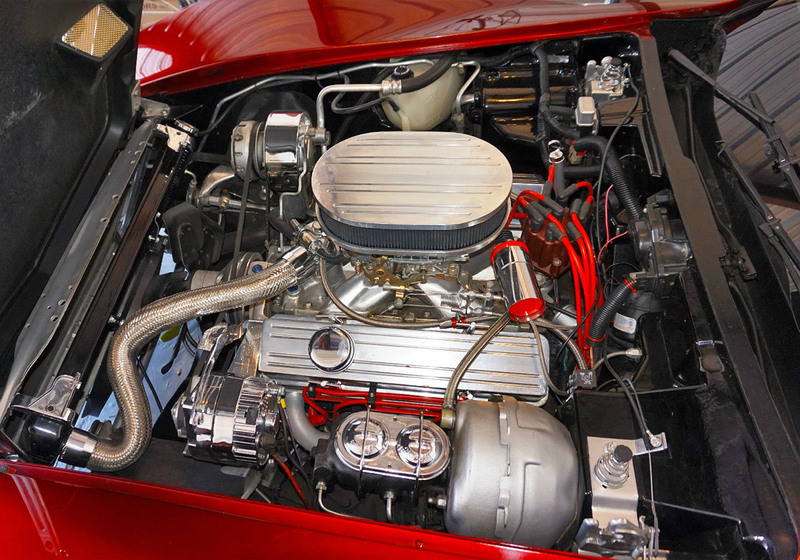 Apparently, the car is one of the first ever resto-modded pro-touring Corvettes, having received all of its significant upgrades back in 1982. Since then, it’s only been driven 700 miles. It’s got a fantastic retro metallic lacquer paint job in cherry red with orange and gold body stripes, and looks as shiny as the day it was painted. The car has a jumbo hood scoop, and a beautifully integrated rear spoiler that looks like it’s actually part of the car’s fiberglass body. 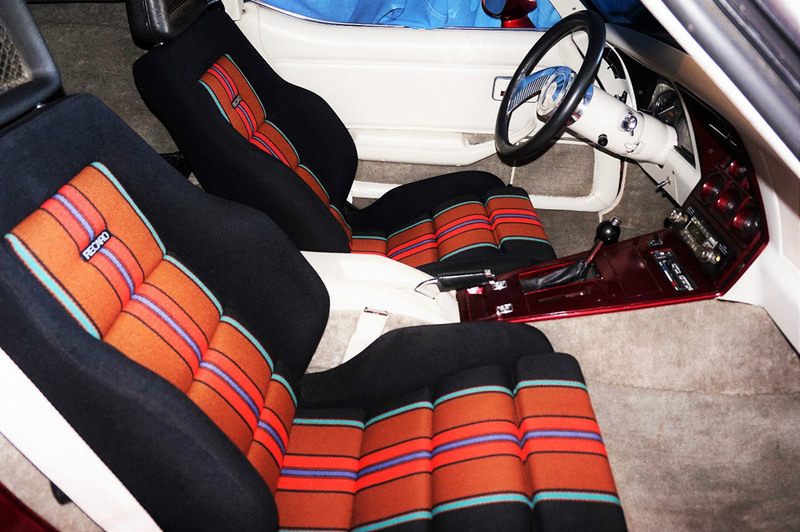 And you’ve gotta love those striped Recaro sport seats. The seller of the car doesn’t provide any details on the engine mods, but it’s clear that they were plentiful. One would hope that for the $250,000 (USD) asking price, that the car would offer up a bit more than the maximum stock engine, an L-82 V8 which only made 230 hp. 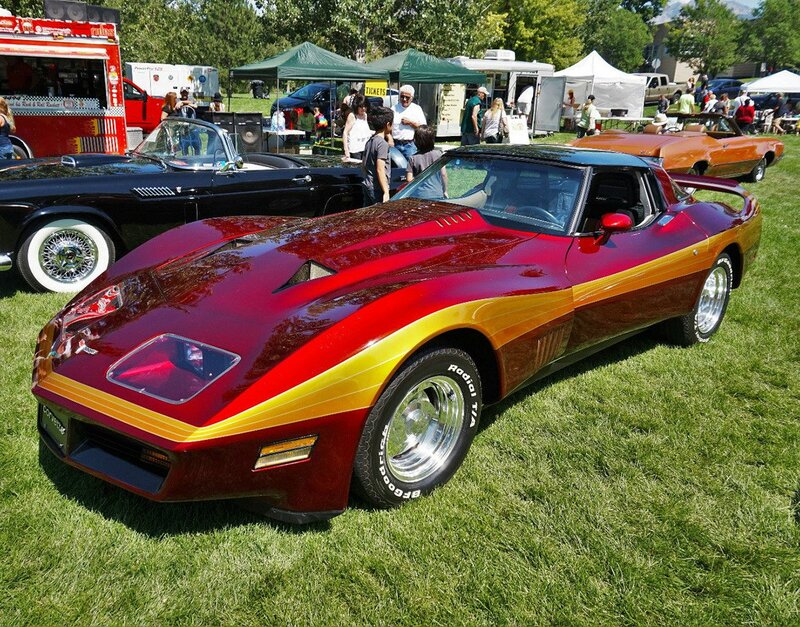 Beyond its look, this very special ‘Vette has another important feature on its resumé – famed Chevrolet designer Bill Mitchell was involved in the build of this car.